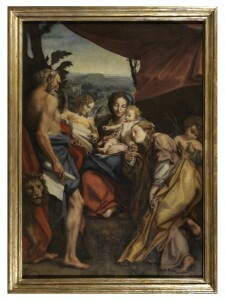 Cortona’s Antiques Fair can rightly be considered the mother of Italian antiques fairs. 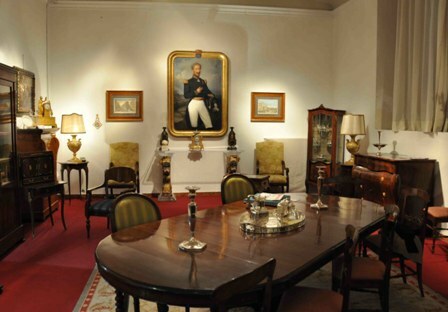 Begun in 1963 to act as a launching pad for the town’s flourishing restoration and furniture reproduction business, the show was dedicated to the “mobile antico” or antique furniture but over the years it has expanded to include art works, jewellery and other branches of the antiques world. Held at the elegant Palazzo Vagnotti, the show & market was-and still is- the show place of Central Italy’s top antiques dealers. 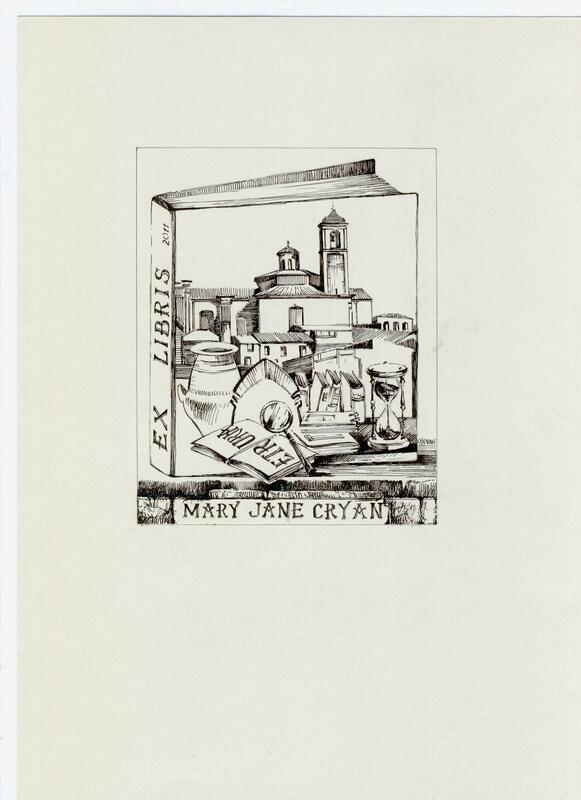 Looking back at the colletion of the show catalogues in my library I realize that the annual visit to Cortona was always more than just a chance to admire (and dream about buying) antique furniture and art works. The catalogues were also tomes of knowledge full of helpful information. The 1970 catalogue with its 260+ pages of illustrations shows the prize pieces of 48 exhibitors –the crème of centralItaly’s “old timers”. From Rome Rosati & Terenzi, Venturi & Spada both with shops on what was then the busy hive of Rome’s top antiquarians – Via Giulia. 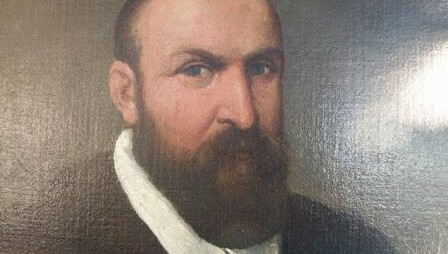 Arezzo’s legendary Ivan Bruschi, after whom the Foundation Ivan Bruschi is named, wrote the preface . The catalogue of the 10th Antiques Show, in 1972, weighed in with a hefty 380 pages and was enriched with a selection of articles on Cortona Etrusca by Paolo Bruschetti and the Palazzi of Cortona signed by local priest, Bruno Frescucci as well as a poem of Gabirielle D’Annunzio “La città di silenzio” in honor of the city of Cortona. In the 1981 catalogue is prefaced by enlightening articles on the Etruscan smile, the musical chapel of the cathedral of Cortona, and the city laws for the year 1325. 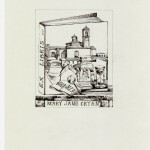 For the 22nd Antiques Fair, in 1984, the catalogue featured Mario De Filippis vast collection of ex libris, those beautiful minor little art works which decorate the frontispiece of our books. Thumbing through the pages of illustrations depicting elegant chests of drawers, 19th century mahogany tables, sculptures and paintings prompts the question: how many young couples visit the antiques shows today looking for special pieces to help furnish their first home? Or is the IKEA catalogue now preferred reading? A word of advice: do not be surprised when the cheap factory-produced kit furniture falls apart after a few years of use, a couple of kids and house moves. The antique chest or cupboard will remain and increase in value as the years go by and can be considered a far better investment than bonds or money in the bank. Antique furniture and works of art are investments that you can admire as you use them to furnish your home.